As part of a full comprehensive service TBA Media not only offer you website design and development, we also have professional writers to create unique and evoking content for your website during the initial phase of development and design, and also after launch. Our professional content writers can write for a variety of industries and subjects coming up with continual articles, blogs and news in relation to your specific business and niche. At the time of organising your new website talk to our staff about an on-going content program and see how this will help you in the long run. How will content writing help? We are glad you asked this question. When you design, develop and launch a new website it has content on it to give customers a clear idea of what it is that you do, highlighting special niches, products, services etc. This content is used by Google to give your website its initial ranking on the internet. This is not the end though, in order to increase your websites presence and to constantly give Google something new to find and search for, regular content is required. This content cannot be just anything it needs to contain key words in relation to your business, areas of expertise, locations, etc. What Google does is, it reads this new information and uses it to help re-rank your site, higher and higher with the ultimate goal of reaching Number One on Page One when someone searches for anything that has anything remotely to do with what you do. TBA Media offer you, our customer the option of having all your regular content written by one of our experienced content writers. 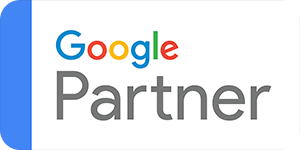 This ensures that your website is constantly receiving new material for Google to find and sift through giving it more substance and credibility over similar businesses that are not maximising their websites potential to its fullest. Your website is a marketing tool and as such it needs to be constantly evaluated, adjusted and altered to ensure that it is doing its job. If you find that you do not have the time to devote to content writing, or are interested in getting more information on how our content campaigns can help you call us at TBA Media and discuss the available prospects which we can help you tap into.